The National Building Museum in Washington, D.C., announced today that it is making itself more accessible to students in the profession. Its "Spotlight on Design" lecture series, which comprises eight-to-ten talks a year by leaders in the field, will now be free for students. Tickets to the lectures will still be $12 for museum members and $20 for non-members. 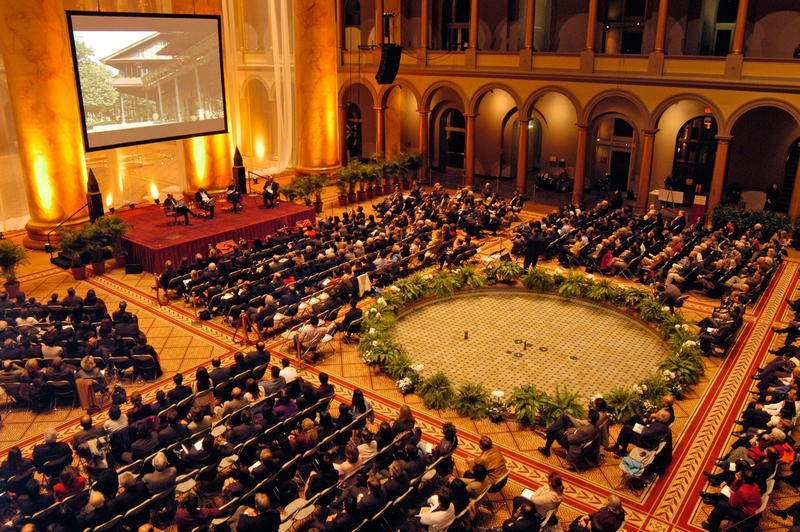 In the past, the series has hosted luminaries like Tadao Ando, Zaha Hadid, Rem Koolhaas, Jeanne Gang, and Laurie Olin. This year's lineup has yet to be completely announced, but Brad Cloepfil of Allied Works, designer of the recently-completed National Veterans Memorial and Museum, will present on Thursday, March 7, and Adam Greenspan of PWP Landscape Architecture, designer of the grounds at the Glenstone Museum, will talk on Tuesday, April 9. The series will kick off with a presentation from partners at ZGF ARCHITECTS on Monday, January 28. In a statement, Chase Rynd, executive director of the National Building Museum, said, “We are so pleased to be expanding access to our signature public program. We hope that by introducing young talent to noted practitioners in the field and a wide variety of approaches to the design process will only inspire them in their own careers.” More information is available on the museum's website. Just in time for March Madness, the National Building Museum is set to present a photo series documenting private and community basketball courts across the country and abroad. 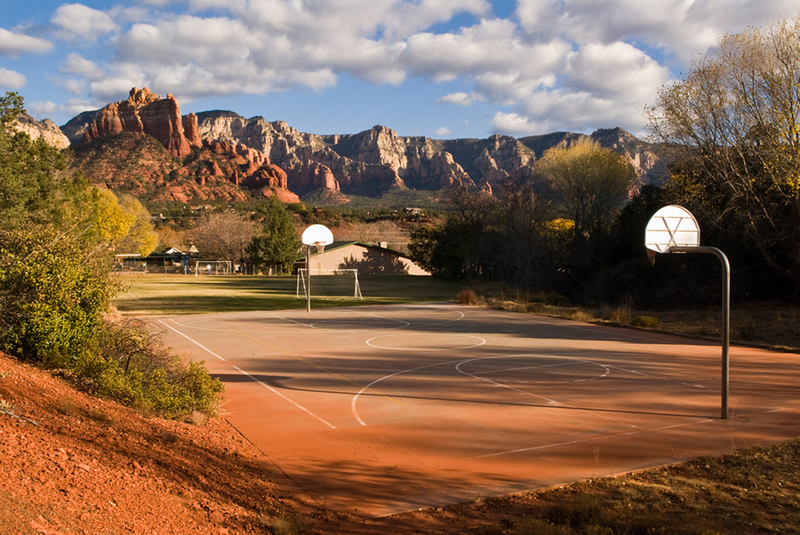 HOOPS, opening on March 9, 2019, will showcase the work of photographer Bill Bamberger and a selection of shots from his 14-year journey searching for one-of-a-kind courts. Each of Bamberger’s “court portraits” is devoid of people, allowing the viewer to focus on the court’s surrounding context and basketball’s enduring appeal no matter where the game is played. The large-format color photographs show scenes from Arizona to Appalachia, Mexico, and South Africa, and reveal the unique ways in which courts are designed and constructed to tell the story of a particular community. Bamberger began the series in 2004 and has since taken nearly 22,000 photographs of courts worldwide. “I never photographed the players, finding that the ‘place’ spoke loudly about its users,” he said in a statement. “I could easily imagine the players, and in some cases I met them. But more often in the stillness of the court—photographed in early morning or late afternoon light—I came to know a great deal about a community, its character, and values.” HOOPS will be on view at the National Building Museum in Washington, D.C., through January 5, 2020. Inga Saffron of the Philadelphia Inquirer and Robert Campbell of the Boston Globe are the recipients of the 2018 Vincent Scully Prize. 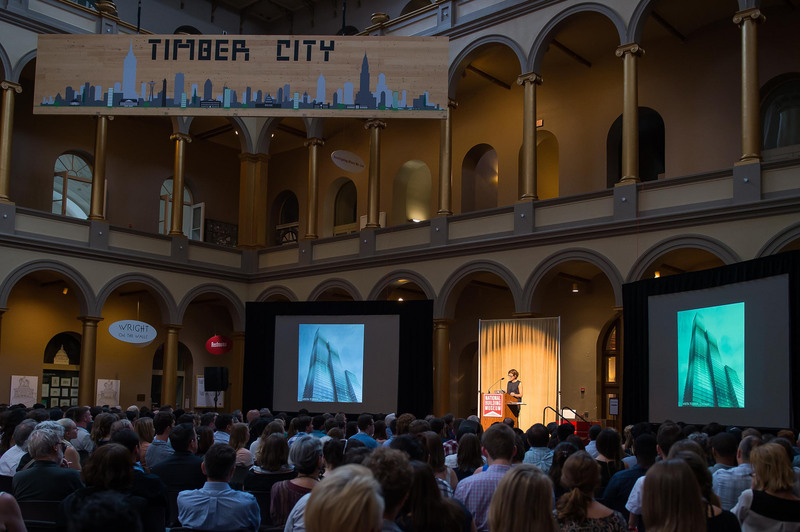 Awarded annually by the National Building Museum in Washington, D.C., the prize honors design professionals who have shown excellence in practice, scholarship, or criticism in the field. This year’s winners—both Pulitzer Prize–winning journalists—are admired for their commitment to providing insightful critiques of the built environment. The Vincent Scully Prize was established in 1999 and first awarded to Yale University professor Vincent Scully, who died last December. 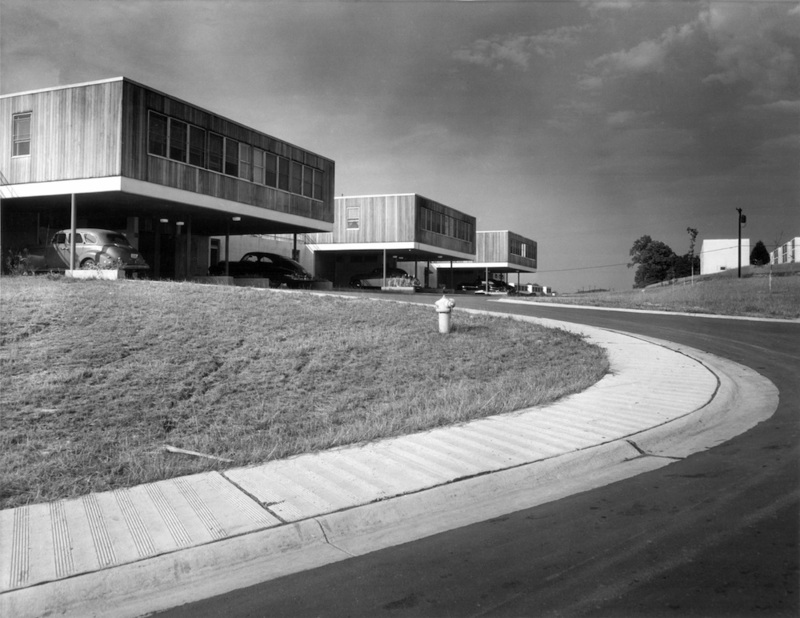 Past recipients include Jane Jacobs, His Royal Highness Prince Charles, the Prince of Wales, the late Robert Venturi and Denise Scott Brown, Paul Goldberger, Robert A.M. Stern, and more. Landscape architect Laurie Olin was given last year’s prize. 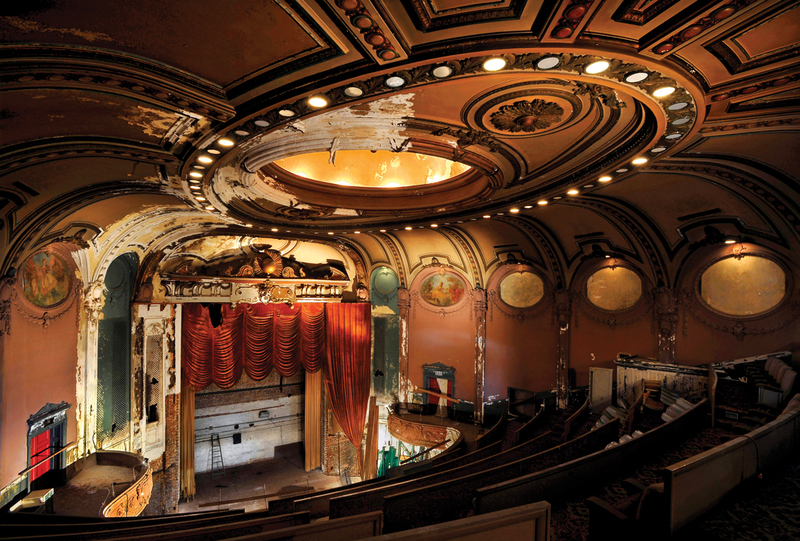 The National Building Museum will hold a public award ceremony for Campbell and Saffron on Monday, October 29 with a conversation moderated by The Chicago Tribune’s Blair Kamin. The beach balls are back, and they’ve been joined by Kith sneakers, Dig, Playhouse, and Light Cavern. They’re all part of Fun House, the new Summer Block Party exhibit that opened July 4 at the National Building Museum in Washington, D. C., and runs through Labor Day. The show is a retrospective of the work of Snarkitecture, a 10-year-old design collaborative known for its playful approach to art and architecture. The opening marks a return engagement for the firm, which also created the museum’s popular 2015 summer exhibit, The Beach, which featured nearly one million translucent beach balls. The exhibit’s centerpiece is a freestanding white house that has been constructed in the museum’s Great Hall. It serves as a framework for a series of environments and objects that Snarkitecture has created over the years, including settings for the Storefront for Art and Architecture in New York, Design Miami in Florida, and the Exhibit Columbus design biennial in Columbus, Indiana. In the back is a kidney-shaped swimming pool filled with the same plastic balls that Snarkitecture used for its Beach exhibit. Founded in 2008, the New York-based collaborative is headed by Alex Mustonen, Daniel Arsham, and Benjamin Porto. The Fun House exhibit was curated by Maria Cristina Didero, who also wrote the foreword to the 2018 Phaidon monograph, Snarkitecture. According to Mustonen, this is the first comprehensive museum exhibit for Snarkitecture, and it brings together many of the environments and objects its partners have created over the past decade. Separately, the different rooms and spaces are playfully engaging environments for children and adults. Together, they tell a story about the partners’ idiosyncratic approach to interpreting the built environment. Mustonen said he didn’t think of the exhibit so much as a 'greatest hits' collection but as an opportunity to show how the designers think about the world. He said the group has completed dozens of installations in separate locations, and this is the first time they have been put together to create one immersive experience. A house was created to provide the framework for many of the installations because of the symbolic value and iconography of the house in the field of architecture, explained Didero, the curator. “A house is the first thing most children learn to draw spontaneously, adding a triangle to a rectangular shape,” Didero said. For Fun House, the designers reimagined the conventional structure as a way of conveying Snarkitecture’s “unconventional theoretical journey” during its first ten years, she said. Many of the objects and spaces are rendered in white as a way to encourage viewers to focus on the objects themselves, the designers said. Besides the pool filled with plastic balls, the exhibit includes environments such as Dig, from a 2011 Storefront for Art and Architecture installation about excavation, and Drift, from Design Miami in 2012. There’s a ceiling-level display of Jordan One sneakers that recalls the stores Snarkitecture created for Kith, a bubble bath from Design Miami, Light Cavern, commissioned by COS for Salone del Mobile in Milan, and Playhouse, a kid-friendly structure from Exhibit Columbus. Mustonen said his firm hopes to take on more permanent projects, perhaps in the realm of residential design. According to representative Ali Moran, it has been commissioned to design a club in Bangkok that is scheduled to open this fall. Housed inside the Montgomery Meigs-designed former-U. S. Pension Bureau headquarters at 401 F Street N. W., the museum has organized a series of summer programs and events in conjunction with Fun House, starting with a dance program called Daybreaker on July 6. As part of the lineup, Mustonen will talk about Snarkitecture and Fun House during a Spotlight on Design program on July 19 from 7 to 8:30 p.m.
For its 2018 Summer Block Party exhibition, the National Building Museum reenlisted Snarkitecture to create Fun House. The New York-based architecture firm also designed the museum’s 2015 Summer Block Party; BEACH, which covered the 10,000-square-foot Great Hall in white plastic balls, and proved to be one of the most popular Summer Block Party exhibitions ever. This year, Snarkitecture worked with curator Maria Cristina Didero to take a different approach with Fun House, a full-size house with over 50 objects and installations that reference some of the firm’s previous work. Eleven different rooms, a front yard, and a backyard invite visitors to explore and play. “We wanted to make the objects and environments in the show as accessible and interactive as possible, while also respecting the nature of some of the pieces as fragile design objects and ensuring the safety of visitors,” said Alex Mustonen of Snarkitecture. “In the end we've aimed to create a balance between moments that are playful and interactive with ones that are reflective and visually engaging.” In the front yard, people will find soft, oversize upholstered letters derived from A Memorial Bowling—a sculptural artwork completed in 2012 for Miami’s Orange Bowl Stadium—while a pool filled with white balls— “a domestic version of BEACH” explained Mustonen—occupies the backyard. Inside, functional items and accessories such as Broken Mirror and Pillow as well as limited edition pieces like Break and commissioned works like Beach Chair, provide moments of delight and discovery. “We wanted people to experience the projects in the same direct and tactile way that they would have with the original [versions],” Mustonen said. “With that as a starting point, we worked with Maria Cristina to develop the concept of the house as a framework that would organize the display objects and installations within an environment that would feel both familiar and unknown as visitors explore and discover the different rooms. Maria Cristina's proposal to reframe much of our work within an emotional context was something new for us, but also an idea that resonated with the way that we approach creating unexpected and memorable experiences.” “Fun House represents a unique opportunity for us to bring together a number of different Snarkitecture-designed interiors, installations, and objects into a single, immersive experience,” said Mustonen in a press release. “Our practice aims to create moments that make architecture accessible and engaging to a wide, diverse audience. With that in mind, we are excited to invite all visitors to the National Building Museum to an exhibition and installation that we hope is both unexpected and memorable.” Fun House opens at the National Building Museum on July 4 and will run through September 3, though Mustonen hints that it may travel to other locations in the future. 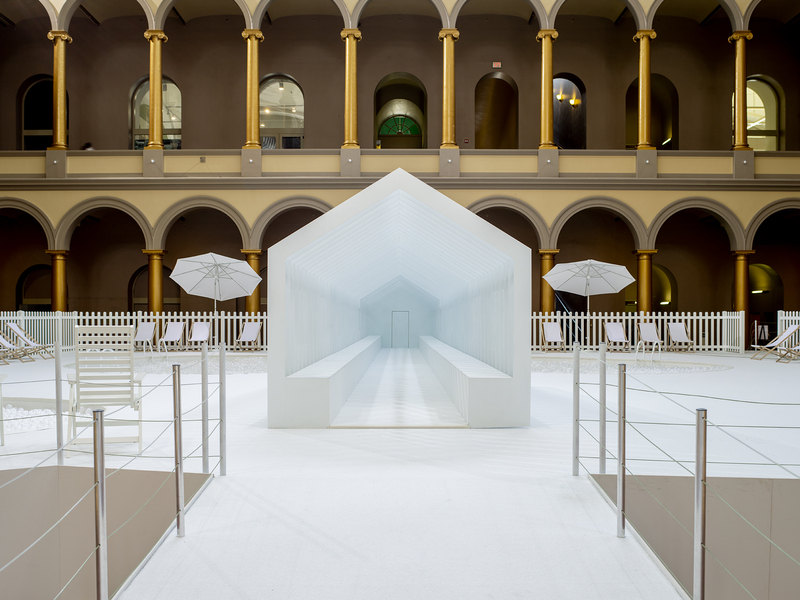 The National Building Museum in Washington, D.C. has announced that the New York-based Snarkitecture will be designing the 2018 Summer Block Party exhibition for the museum’s Great Hall. Fun House will put a full-sized, freestanding house on display for visitors to explore, with the intent of explaining how Snarkitecture understands and reinterprets the built environment. 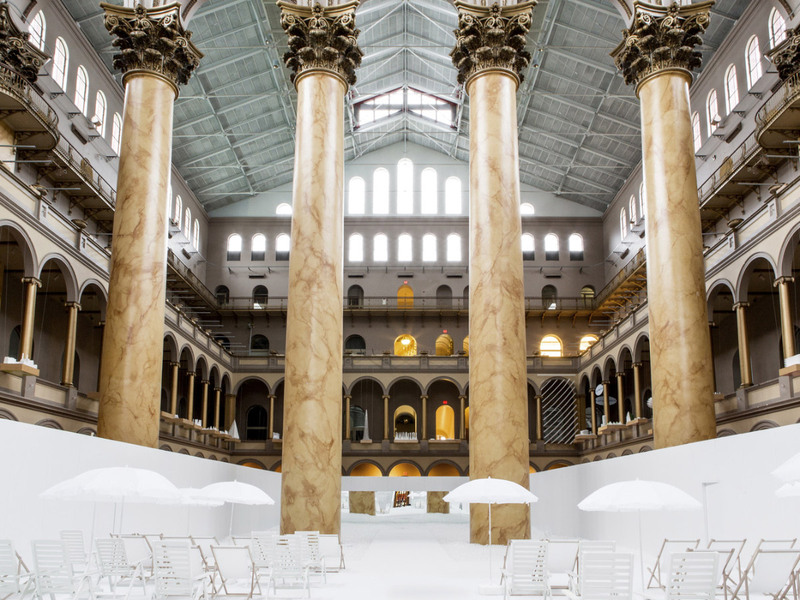 Snarkitecture is no stranger to the National Building Museum, having lit Instagram ablaze with their 2015 Summer Block Party installation The BEACH. After filling 10,000 square feet of the museum’s Great Hall with enough translucent white balls to swim through, the studio will be taking a different tack this summer. 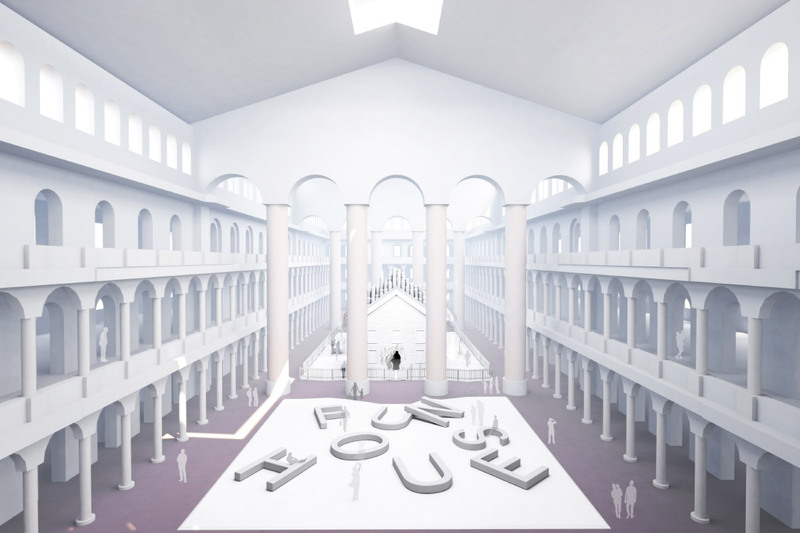 The museum's four-story hall and its massive Corinthian columns will instead play host to Snarkitecture’s first full museum exhibition, with each room of Fun House containing environments and objects from the firm’s ten-year history. The house will also feature several new concepts developed exclusively for the museum, and a front and backyard with recognizable “outdoor activities” for guests to enjoy. 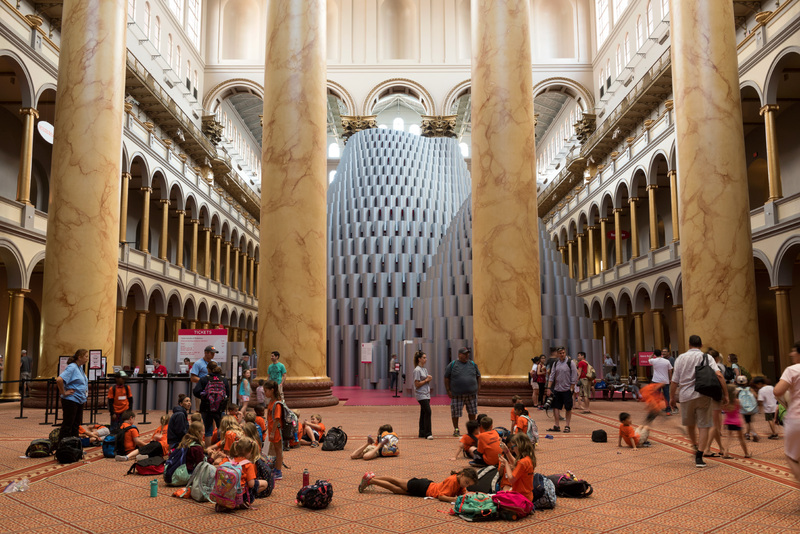 “Making architecture and design approachable and fun is at the heart of the success of our summer series,” said Chase Rynd, executive director of the National Building Museum, in a statement. “Snarkitecture really understands our mission of inspiring curiosity about the world we design and build, and we’re excited to be working with them for the second time. We know our visitors will be thrilled to immerse themselves in Snarkitecture’s world yet again.” The program is only in its fifth year, but Fun House follows a series of ambitious Summer Block Party exhibitions, such as Hive by Studio Gang, ICEBERGS by James Corner Field Operations, and the BIG Maze by Bjarke Ingels Group (BIG). Fun House will be open from July 4 through September 3, 2018. AN will update this post when more details of the installation become available. Today, almost a third of U.S. households are households of one, but the housing stock still reflects social values of the last century: Most homes are built for a married couple with children—the idealized nuclear family—yet these households now make up only 20 percent of families, down from 43 percent in 1950. While affluent singles may chose to live in a two- or three-bedroom house, lower-income individuals, or those who live in cities with white-hot housing markets, often have no choice but to co-house with others. An exhibition at Washington, D.C.'s National Building Museum responds to the changing American family and presents a compelling alternative: a home that can be rearranged for every stage of life. That model apartment, officially known as The Open House, is the centerpiece of Making Room: Housing for a Changing America. At slightly less than 1,000 square feet, it's less than 40 percent of the size of the average newly-built U.S. home, but the unit feels spacious nonetheless, thanks to movable walls, retractable furniture, and clever built-ins. Last week, crews changed the apartment over from its three-bedroom setup (single people living together as roommates) to a multigenerational house where a mother, her children, and an elderly relative in a semi-private room can all live under the same roof. "We wanted to promote a diverse set of housing options," explained Jessica Katz, the executive director of Citizens Housing Planning Council (CHPC), a New York–based nonprofit that studies housing issues and collaborated with the National Building Museum on the exhibition. The flexibility trickles down to the everyday, too. In the kitchen, the extended countertop can be lowered to table height with the push of a button, or lowered further for a wheelchair user to prep dinner. All the spaces are ADA-accessible, tricked out with Miele appliances and Ernest Rust cabinets that are opened with a soft touch. One wall over, the parent's bed, a Resource Furniture Tango Sofa system, pulls up into the wall Murphy bed–style, leaving a couch and living room setup for daytime relaxation. A bunk bed in the children's room, surrounded by built in cabinets for toy storage and a wall-mounted desk, does the same. Adjacent to the kitchen is the grandparent's bedroom, which functions as a small studio that can be closed off from the rest of the house for a more private retreat. Space-saving furnishings abound: A Giro Console Table folds out from the entertainment wall to become a narrow counter, and unfurls again to become a kitchen. A second bathroom, accessed from the studio and the kitchen, is wheelchair accessible. The dividers between all of the flexible spaces are the same moveable acoustic panels that segment conference rooms in convention centers, so the parent, for example, could host a sit-down dinner in her kitchen while the grandparent and the child in the household are asleep. 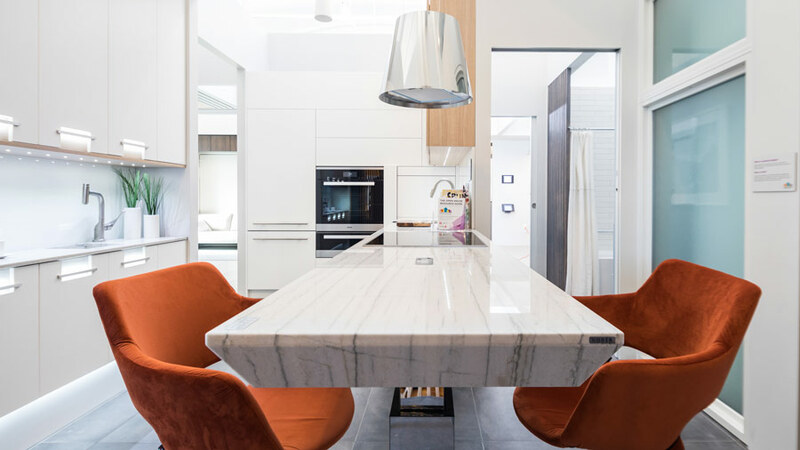 The Open House was designed by Italian architect Pierluigi Colombo and kitted out with donations from Resource Furniture, AJ Madison, Ceramics of Italy, Duravit, Ernest Rust, Hansgrohe, AXOR, and others (a full resource list can be found here). Colombo also designed the original Open House, which debuted in New York in 2013. In many cities, building codes have a long way to go to catch up to the future of housing, however. The Open House was built up to NYC building code for "six different projects," Katz said, so the team could re-arrange the rooms without incurring code violations if the house were built outside of museum walls. Instead of the costly, weeks-long renovation that usually accompanies a major interior renovation, it only takes museum workers around 22 hours to change the house over for each phase of the exhibition. If the idea of a modular forever home seems far-fetched, Making Room's final gallery includes examples of non-traditional housing across the United States that bridge the divide between concept and practice while honoring local zoning codes. There's high-end ones like the Choy House, O’Neill Rose Architects' private home for three generations in a part of Flushing, Queens that's zoned for single-family houses, as well as more accessible options like Las Abuelitas Kinship Housing—a Poster Frost Mirto–designed community for grandparents and the children under their care in Tuscon, Arizona, pictured below. The hope, explained National Building Museum Curator Chrysanthe Broikos, is that these projects meet the needs of non-traditional families while demonstrating the need for residential zoning reform through quality design. For those planning a visit, the Open House is on view through September 18. 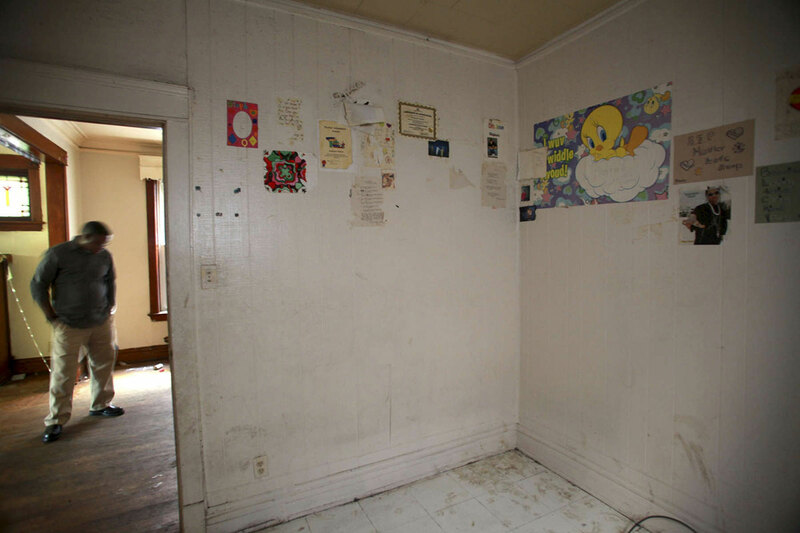 It has one more iteration to go through, though: In late May, the house will enter its sunset years, transforming from a multigen space into one for an older couple, with a studio apartment to rent out to a tenant or live-in caretaker. Right now, visitors can take a virtual walkthrough of the apartment's current configuration, and more information on the exhibition can be found here.